Always carry extra supplies. Never plan on buying them where you intend to travel to since there is a possibility you might not find them there. Hence it is always better to carry all the extra things like pouches, pads, barriers, etc. with you during the jouney. You can also carry a pair of scissors alongwith you given that you have taken the needed clearance for doing so. You can carry them in your checked in luggage but not all countries and states allow carrying them in your carry on luggage.In domestic flights within the United States, you are allowed to carry scissors in your carry-on luggage, as long as the cutting edge is shorter than 4 inches. Initially, after Sept 11, 2001, pointed metal scissors were banned from carry-on luggage worldwide. In the U.S., the Transportation Security Administration (TSA) declared in December 2005 that scissors with cutting edges up to 4 inches are allowed. Meanwhile, if you travel outside the U.S., you may face more severe restrictions on carrying scissors. Some countries allow regulated sized scissors while other countries may prohibit scissors in carry-on entirely. So, if you’re traveling internationally, unless you’re sure of the rules in the countries you’ll be flying through, it’s best to avoid scissors in your carry-on (you can always pack scissors in your checked luggage). TSA has a service that allows passengers with disabilities or ostomies to avail passenger support during the flight given that they contact the TSA contact center, 72 hours before the flight. Different airports have different services and hence this can vary from city to city. If you are traveling by bus, train, or an airplane, arrive earl;y at the departure point so that you know what to do next and have enough time on hand if something goes wrong. Security and screening processes take time and it is always best if it is done calmly and effeciently. One cannot change their pouching in public and hence it is important to find the suitable bathroom or changing room where you can easily remove the previous pouching and fit a new one. You should also take care about disposing off the old puching properly. Ostomy belts are a great add on while traveling as they help support the ostomy and the pouch with ease. 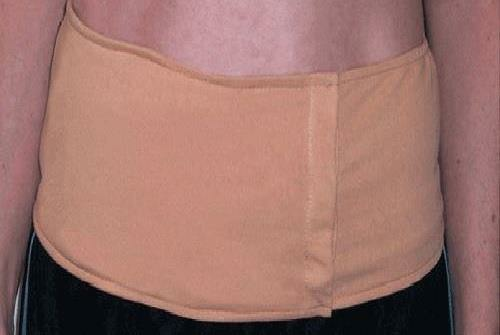 A stoma guard add on can help protect your stoma from sudden jerks or any kind of sudden motion in that case. Protecting the stoma and the pouching system is of utmost importance. Places with warm or hot climates tend to increase the persipiration rate and hence might create problems for your ostomy. Skin irritation under the flange or the barrier can be a common occurence during this time. Hence using an anti-perspirant cream can help reduce moisture in the ostomate region. Cold climates might cause the skin to harden and dry up hence increasing chances of rashes so it is better to carry a moisturizer with you. Consult a specialist before using any cream or lotion. One must be very careful while using non-potable water while traveling as it can conclude with diarrhea. If clean water is not available in the region then use bottled water to irrgate the ostomy to be safe from any infections or complications. According to the rules, items such as liquids, gels or aerosols must be carried in containers smaller than 100 mL (3.4 ounces), and you can carry only as many of these as fit comfortably into a single one-quart (one-liter) zip-top clear plastic bag. These rules are generally enforced worldwide. The most important ostomy supplies, such as pouches and barriers, are not liquids, gels or aerosols, so as they aren’t subject to these rules you can carry as many as you want in your carry-on. But some related ostomy products do fall into the liquid-gel-aerosol category. If you need to carry a few of these on the airplane, it’s usually easy to fit them into your zip-top plastic bag to comply with rules. If you need more of them, you can pack as many as you want in your checked luggage. Larger quantities of liquids-gels-aerosols which are medically necessary and must be carried on board the plane are allowable, but must be declared at the security checkpoint and require additional screening. Summed up, an ostomy should not be something that adds stress to your travels. We hope the information provided in this article helps you to prepare so you can enjoy stress-free travel!